If you are an avid collector and modeler you know that one of things that can make your hobby less fun is failing to find the perfect place to store your models and organize them in a way that will allow you to reference what you've been doing and what you've been working on. There are a number of different ways you can organize your military model collection so that you will not only be able to reference the things you've been able to work on, but when you have visitors, you'll be able to easily point out to other people the different things you own and cherish. One of the best tips for organizing your collection is to create a room that pays homage to your passion, with coordinated decorating accents, military-themed artwork and - of course - sturdy storage furniture or display shelves. The big time collectors are ones who are not snobby about what kind of models they are going to collect, as long as they are all rather high end. Some collectors might have models that use cast iron or aluminum and there are going to be others that have some high quality plastic settings. If you have a space that is big enough to separate those models by material - perhaps your very own man cave that is set aside to house your collections - you can dedicate some space to your metal models and some to your plastic pieces. There are some older models that might be made of some higher quality wood, and it won't take a ton of space to dedicate to wooden models. This way you can know exactly where everything is when you are looking to show it off or catalog it. 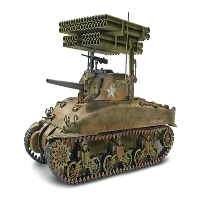 When you are busy making as many models as your time allows, you are likely going to have some military models that are from a number of different eras. There are some models that are going to be from World War I and others from World War II and then of course, others from a more modern era of the military. You can't go wrong by setting up these models so that they match the era they came from. This will make it easier to show off your collection to people as you walk them through the years. It will also make it that much easier to identify exactly what you have when you are looking to add to that collection. Some people are going to say that this is the best way to do it since you won't have a World War II era tank sitting right next to a model of a stealth bomber. You can even find a way to set them up as though they are in a pitched battle depending among enemies from different sides of the fight. If you are someone who collects one kind of model more than another, grouping your military models is going to another way to go. This means that if you have some tanks but a lot of aircraft, you can group them by aircraft. This way you aren't showing that you only have a couple of pieces from World War I and a ton of pieces from World War II or later. If you have airplanes in one grouping that is quite a bit larger than tanks, the collection will look that much more impressive. By grouping it this way, you will also be able to tell quickly if there is a specific tank, or figure or aircraft that you need to get in order to finish your collection. If you are looking for post WWII aircraft and there are just a few you need to finish your collection, having them organized by that format will make it easier to add onto later.